This practical primer explains the primary issues in writing about the environment, identifies who to go to and where to find sources, and offers examples of writing and reporting the beat. Observations and story excerpts from experienced journalists provide real-world context both for those in the U.S. as well as internationally. Practice story assignments, resources, and a glossary of critical terms gives budding journalists all the tools needed to cover the green beat. 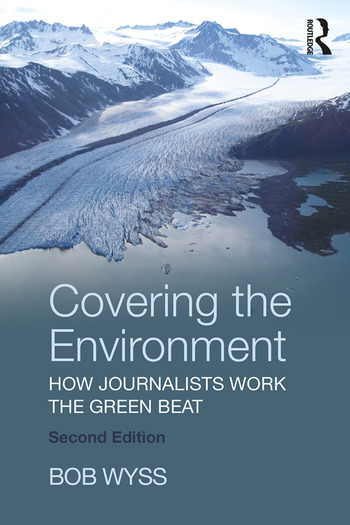 Updated with detailed coverage of how companies and climate change have evolved over the past decade, this second edition expands upon the digital sphere and the myriad ways that deadline, multimedia and mobile reporting have changed environmental journalism. Including consideration of issues such as the water crisis in Flint, Michigan, and the GMO controversy, this new edition provides a fresh take on the green beat with a newly organized table of contents and a guide to freelance and entrepreneurial journalism anywhere in the world. • an examination of the future of journalism and news coverage of the environment in the U.S. and throughout the world. Author Bob Wyss has been a journalist and an educator for his entire career. He has covered environmental and energy issues for a variety of publications, including the Providence Journal, New York Times, Christian Science Monitor, Audubon magazine and Huffington Post. He has been a professor of journalism and has taught environmental journalism and other subjects, at the University of Connecticut and other schools. He is the author of three books.